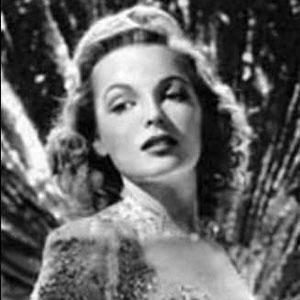 American actress and model best known for her appearance in 1942 film The Mummy's Tomb. She attended the Traphagen School of Fashion and actually modeled her own work in Vogue. She was a magazine pin-up girl during World War II. She was married to Paul Hesse from 1942 to 1943 and Tom Harmon from 1944 to 1990. She starred alongside Lon Chaney Jr. in The Mummy's Tomb.